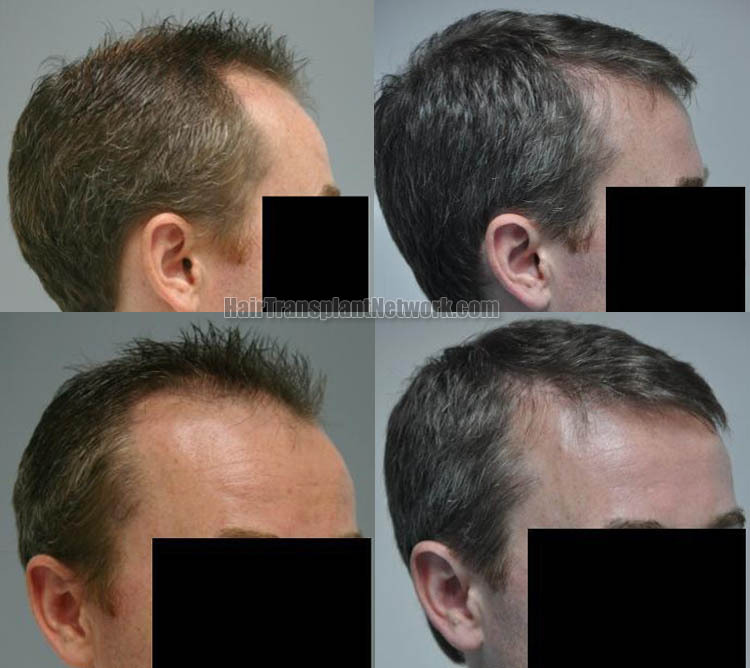 A 39 year-old Caucasian male hair restoration patient had receding hair line and baldness at crown with thinning at the top.The recipient area measured 103 cm2. He had good donor hairs. 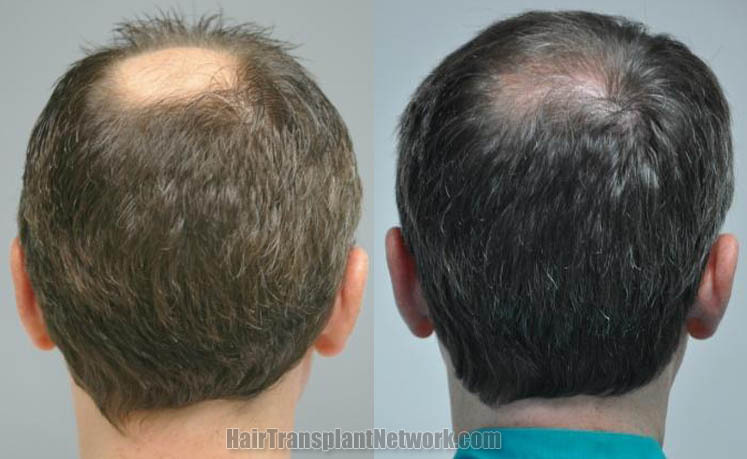 He underwent hair transplantation on January 29th 2010 and a total of 3883 grafts (8270 hairs ) were transplanted. 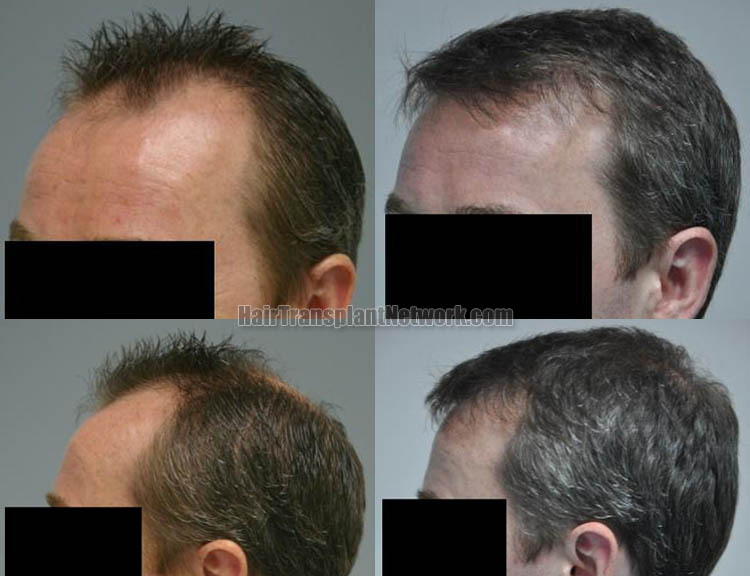 Hair restoration surgery using 3883 grafts shown from the front, viewing before and after pictures. 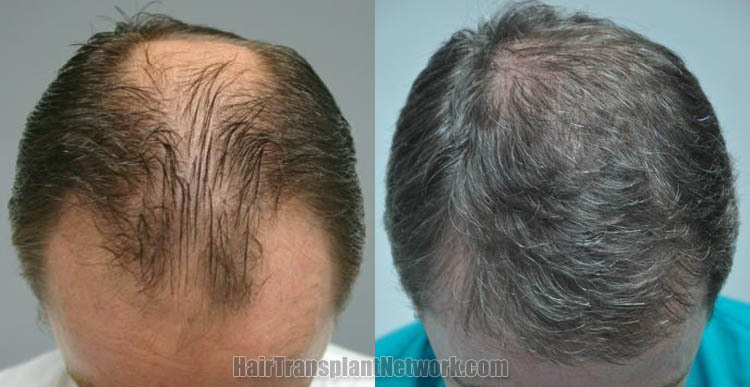 Hair transplant surgery using 3883 grafts viewed from the top, displaying before and after photos. Hair restoration surgery with 3883 grafts displayed from the left, viewing preoperative and postoperative photographs. Hair transplant procedure with 3883 grafts displayed from the right, viewing before and after images. Hair transplant session using 3883 grafts displaying before and after photos, viewed from the back. Hair transplant surgery using 3883 grafts displaying immediate postoperative images viewed from the right and left. Hair restoration surgery with 3883 grafts displaying the patient’s donor area with sutures and the final healed result.